Let’s call this Patterns 101: Introducing patterns. It’s never too early to introduce patterns to your little one. 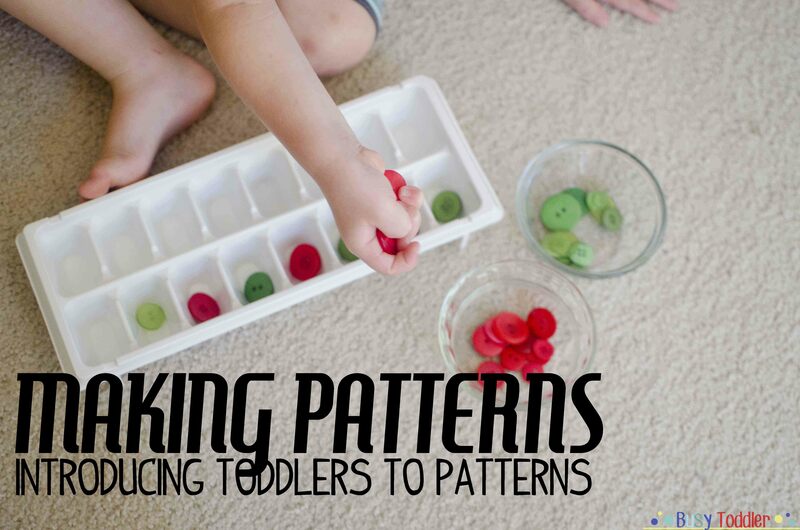 Patterns are a real and necessary math skill for later in life and it’s one toddlers and preschoolers can master early. BONUS: It’s also really fun to teach. Don’t be intimidated by teaching your little one big skills like this. It’s fun and they’ll pick it up eventually. 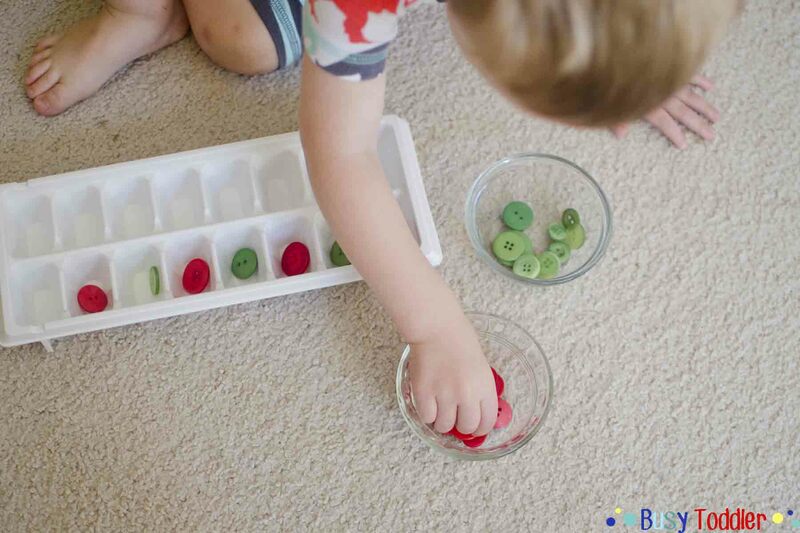 Introducing patterns to little ones is fun! I kept it simple and only used what is called (in the teacher biz) an AB pattern. An AB pattern is a pattern with only two parts repeating (think red green red green or dog cat dog cat – even though the objects repeating are different, the way they repeat “ABAB” is the same). 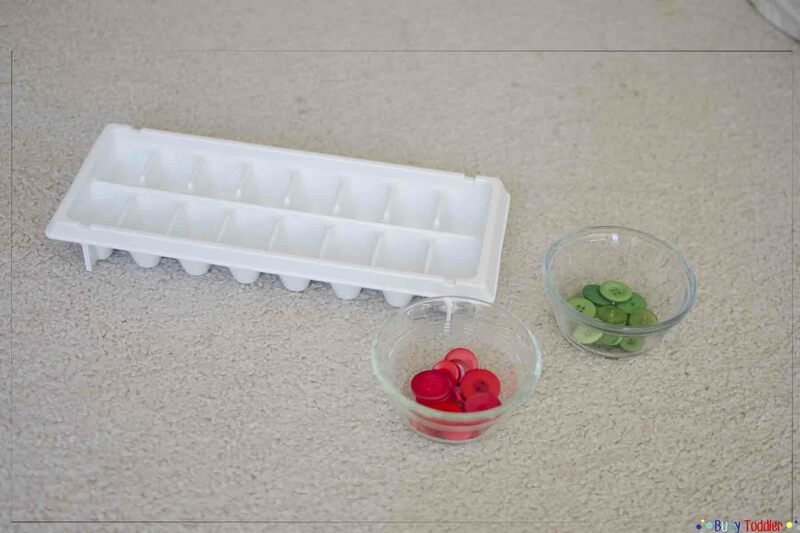 I built a pattern to about 5 buttons then would slowly repeat the pattern back to my toddler. I would repeat it once, then we would do it together, then he would try on his own. Finally after the third time of saying the colors, I asked the all important pattern questions “What comes next?”. My toddler did surprisingly well with this and we had more successes than misses so I’m calling it a win. We did this pattern twice before switching to a sound AB pattern of “clap pat clap pat” which he 6actually like even more than the button pattern. After introducing patterns this first time, we started doing “pattern practice” when we need a quick activity, like in the doctor’s office or at restaurants. Places where supplies are limited and meltdown threat level is high… (wink). It’s been a go to “on the road” activity for us ever since. 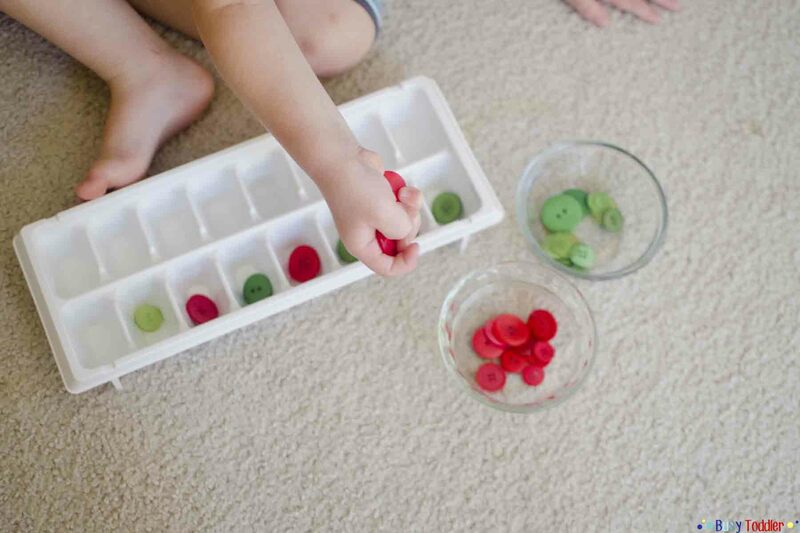 Introducing patterns is such a fun, simple way to learn a little math! 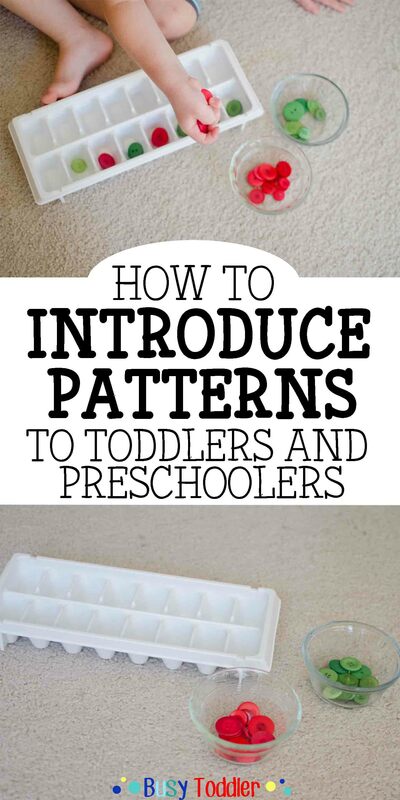 Have you tried introducing patterns to your toddler?